In a little over a month, we will be moving into a new, beautiful home. We will finally have a porch, deck, and fire pit area that just screams summer entertaining. It might be a while until we are settled but I cannot wait until our first BBQ. It will be so nice to have friends and family over to celebrate this major milestone in our lives. When entertaining in the summer, appetizers are a must! 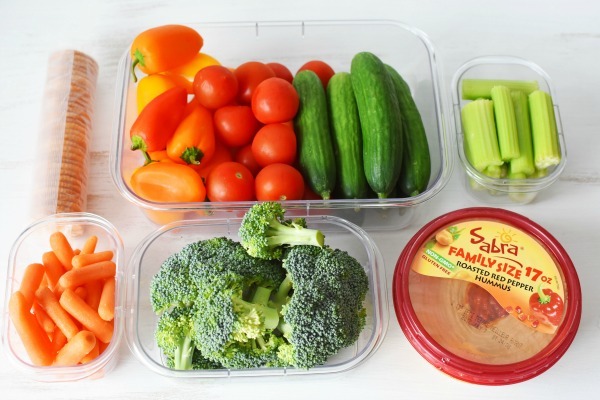 I always like to set out a veggie platter with some hummus or veggie dip for people to munch on before dinner. This helps start conversation and gets everyone in the mood for the delicious grilled foods that are to come. I don’t know about you, but I do not have time to whip up fancy appetizers. That is why this Easy Hummus Appetizer Platter is ideal. It takes minutes to assemble and is pretty budget friendly too! 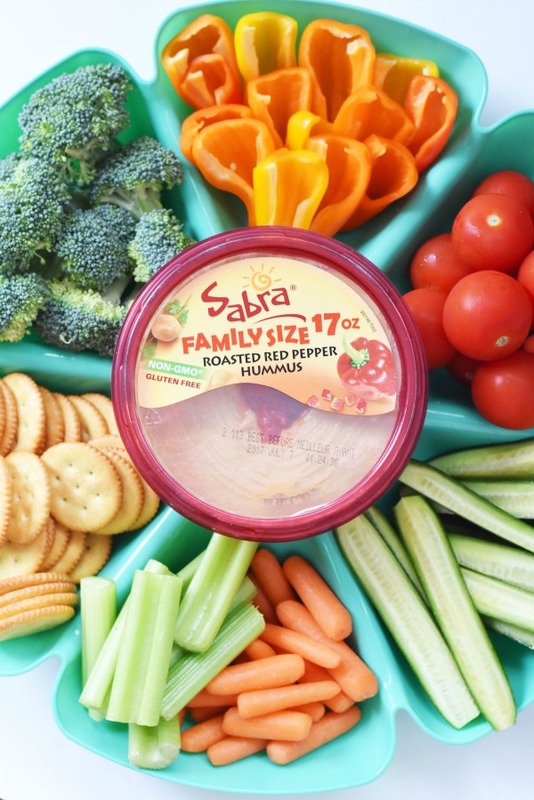 The fresh, crunchy, and colorful veggies really complement the tasty Sabra Red Pepper Hummus. 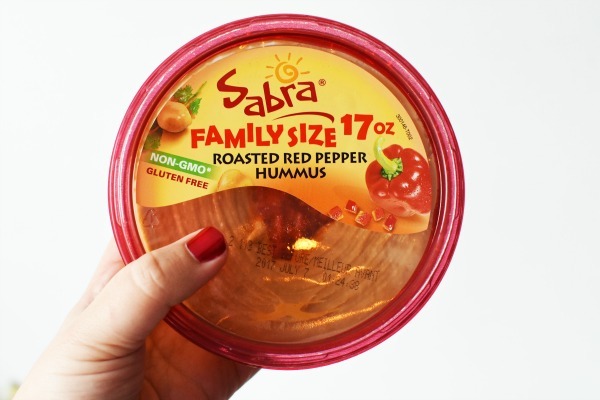 We typically go with this flavor or Sabra Classic Hummus in 17 ounce size. 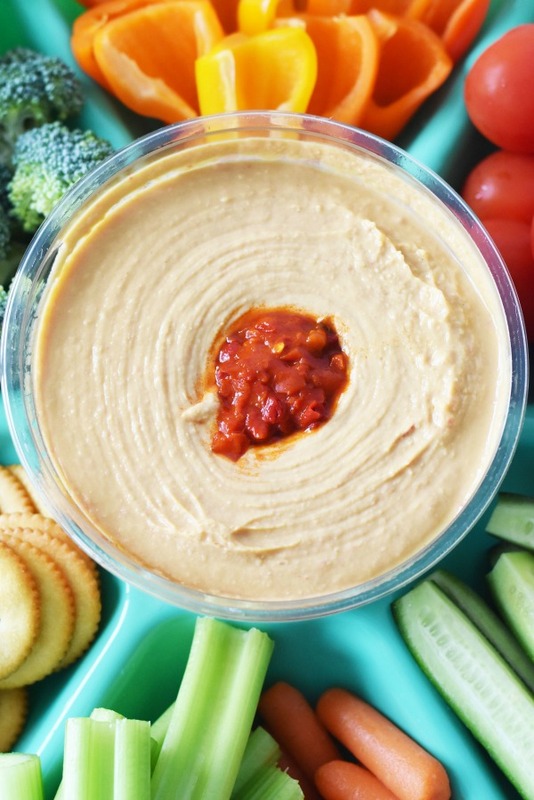 This larger size is perfect for parties and entertaining because you get more hummus! When I think of an Easy Hummus Appetizer Platter, crisp and fresh veggies like cucumber, tomato, and broccoli come to mind. 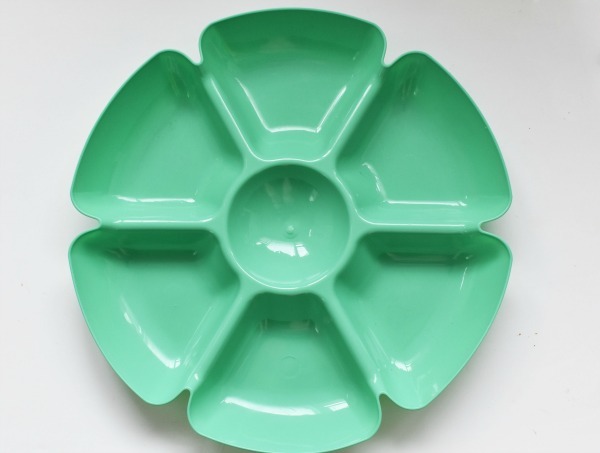 Paired with rainbow peppers, and some crackers and you have the perfectly balanced appetizer tray! 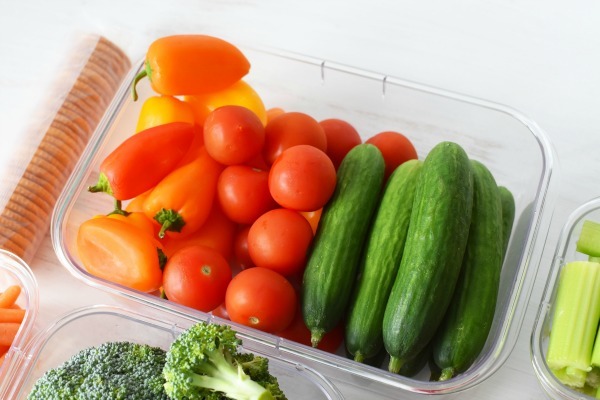 You can wash, cut, and store all the fresh produce ahead of time to make preparation easier. Looks tasty huh? 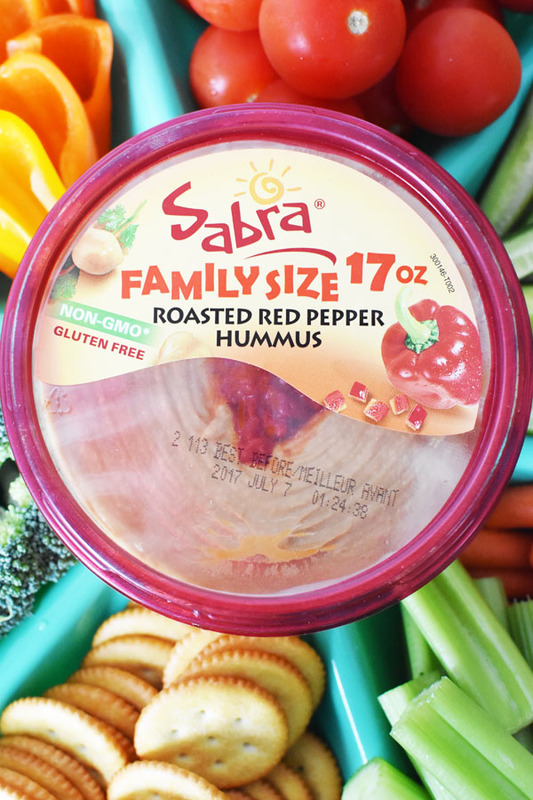 Sabra Red Pepper Hummus is super creamy, and loaded with robust flavors! Be sure to pick some up at your local Walmart! You can find it near to guacamole in the refrigerated produce section. Want a chance at winning a new grill for all your summer BBQ entertaining? Enter to win a grill! That is so great! I’m always one to dive directly into the center of a hummus platter. I love it! I love hummus. I like to use it as my healthy snack. I’m trying to eat better been hummus can definitely help with that and keep me satisfied in on my diet. My kids love veggies, so this would be a perfect combination. I will have to see if we have it here in Canada! 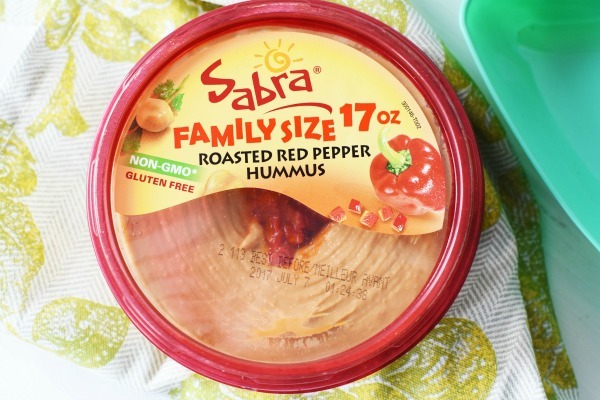 Sabra hummus is always a crowd pleaser here. I buy the original for the kids and another flavor for myself. Sometimes I share with my husband…sometimes. I absolutely love hummus. I could eat the whole container by myself. Yum! I could eat hummus with red peppers or cucumbers all day long. it makes for an easy lunch and it is healthy too! 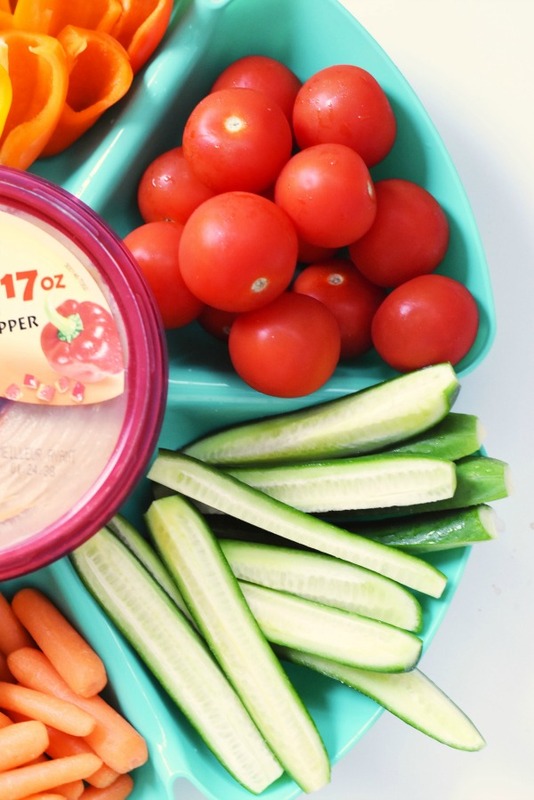 Hummus that is ready to eat without even thinking about it? Love it. This looks like the perfect summer platter and so simple! 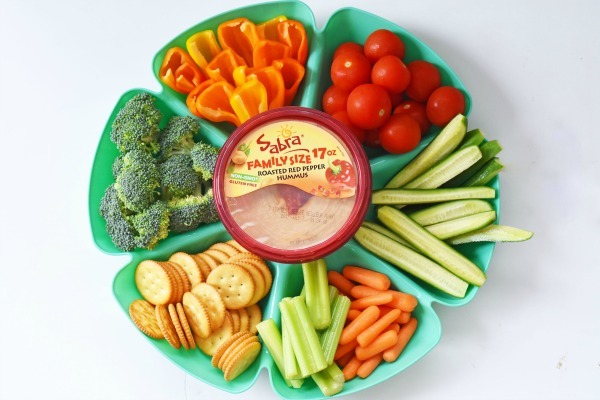 My kids and I love Sabra Hummus! I made one of these veggie platters for my son’s 12th birthday party, it was a hit! I need to make a appetizer platter like this for my BBQ this weekend. 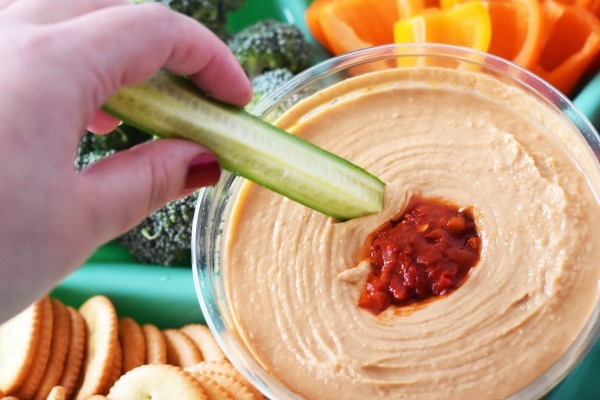 Hummus is one of my favorite dips for snacking. We love Hummus in this house. My kids mow down anything dipped in hummus and even love it in a sandwich for school. We love hummus in our house. 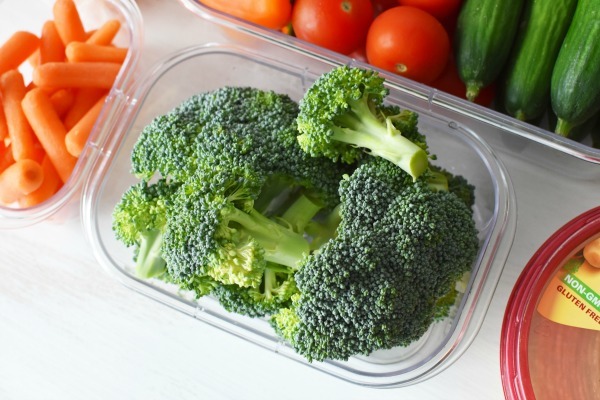 It makes for a great snack for the kids and a healthy one. Mom approved! I love hummus! This is great for parties and movie nights! I love their flavors! It is an easy snack idea and perfect for summer. The roasted red pepper is so good. I am obsessed with hummus! It’s great and healthy to eat but the garlic one is by far my favorite with the chopped pieces in the middle!